According to sources talking with Reuters, the company may get an investment from two major companies, Amazon and General Motors, giving both minority stakes in the manufacturer. The three companies have not commented on the report. Tesla now owns 90 percent of the US electric auto market by revenue and 80 percent by unit sales. The Reuters source says the deal could be announced as early as this month but cautions nothing is final yet. General Motors issued an official comment that, while positive about Rivian, avoided confirmation about any such talks: "We admire Rivian's contribution to a future of zero emissions and an all-electric future", it said. The Rivian deal would come as its much larger electric auto manufacturing rival, Tesla Inc, struggles to stabilize production and deliver consistent profits as it rolls out its flagship Model 3 sedan. Amazon has also been making efforts to extend its Alexa technology from the home to the vehicle, through partnerships with automakers and device makers, and its own Echo Auto in-car gadget, announced previous year but still available only by invitation. GM CEO Mary Barra has said it has given a "tiny bit" of thought to developing all-electric pickups. GM now sells the battery-powered Chevrolet Bolt electric crossover and has promised to introduce 20 new all-electric models by 2023, so far confirming only that one of them will be a Cadillac utility vehicle. The company was among the participants in a $530 million funding round that self-driving startup Aurora Innovation Inc. announced this month. The world's largest online retailer has steadily increased its logistics footprint, building warehouses around the world and inking deals with Mercedes as well as cargo airlines to help with delivery. Rivian has raised $450 million so far, including a $200 million debt round led by Standard Chartered Bank last May. 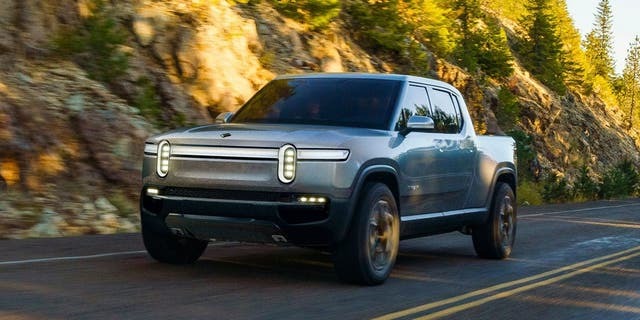 Should the deal follows through, they will be Rivian's first major US venture investors, joining existing shareholders including Saudi Arabia's Abdul Latif Jameel and Japan's Sumitomo Corporation.